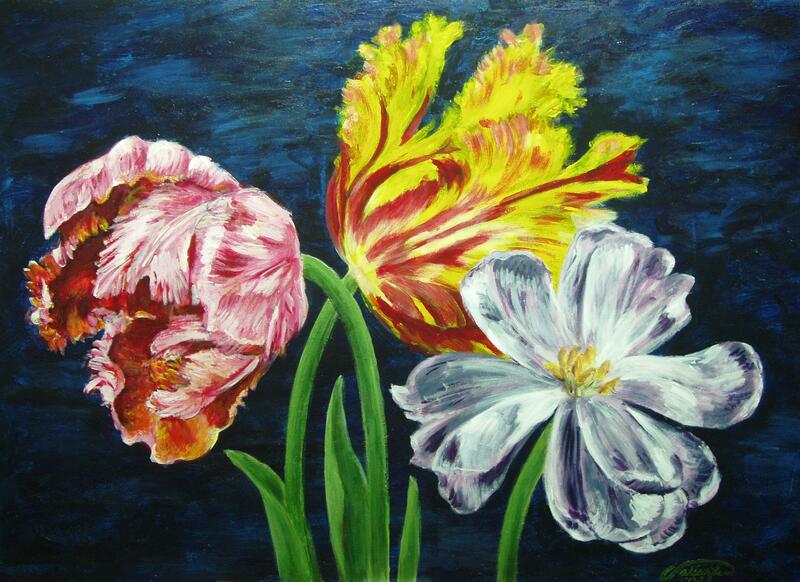 For me, a flower is the face of a plant and this painting is like another portraiture. I always liked flowers because of their colors. I especially like them when they are fully bloomed or when they are starting to wilt, when the petals start to curl out. I didn’t know that you are painting. Your painting is as beautiful as your embroideries.